Get deep insight into the health and performance of your SAP HANA implementations and perform rapid troubleshooting of issues before users are affected. Monitor the availability status of the SAP HANA database as well as the most important system metrics such as the CPU usage, memory consumption and disk utilization. Know how much memory is used by the host, how much memory is used by HANA split by column tables, row tables, code and stack, and database resident. Get notified when any of these resources are utilized excessively and take steps to free up these resources or add additional capacity. User connections to the SAP HANA server are a good indicator of the load on the database server. Understand how many connections to the SAP HANA database server are currently active or running and how many connections are idle. 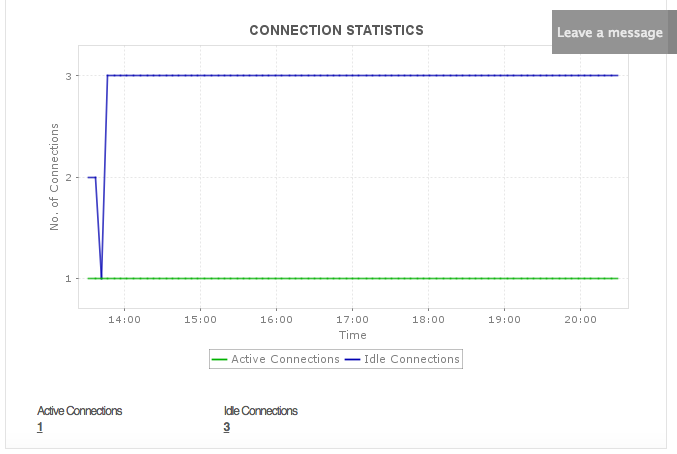 If users complain about the sluggish performance of the database, you may want to check the existing connections and terminate idle connections if necessary to reduce the load on the server. Check if the critical services of the SAP HANA database are currently active and how quickly they are processing requests. Find out the CPU and memory used by each service, the requests currently pending for processing with each service, and the number of active threads. Find out details of transactions executed in the SAP HANA database such as active and inactive transactions, aborting transactions, etc. Know if any transactions are getting blocked. Identify trends and troubleshoot issues by looking at SAP HANA system alerts for specific time periods. Find out if the server utilizing its cache well or if you should resize the cache to ensure its effective usage. Understand how the HANA server is handling its workload. Track the type of statements being submitted to the server for execution such as commits and rollbacks, as well as the current execution and compilation rates and memory usage of each service. Isolate the service facing heavy load and identify the query types causing the high load. Expensive statements are SQL queries whose execution time exceeded a configured threshold. Use Applications Manager to check if there are any expensive SQL statements executing on the SAP HANA database server and the maximum duration of its execution. Get instant notifications when there are performance issues with the SAP HANA database. Take corrective actions quickly before users are affected.